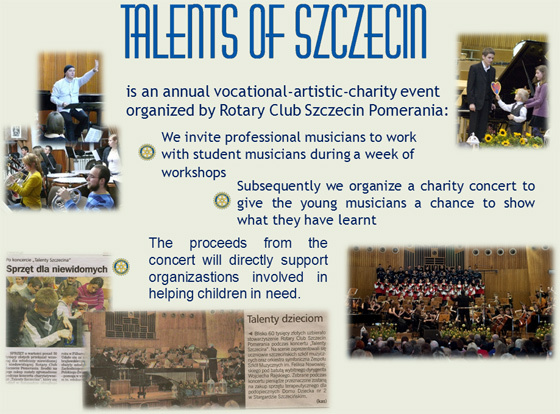 Rotary Club Szczecin Pomerania is organizing the 6th annual charity concert Talents of Szczecin – ?Tribute to Gershwin? 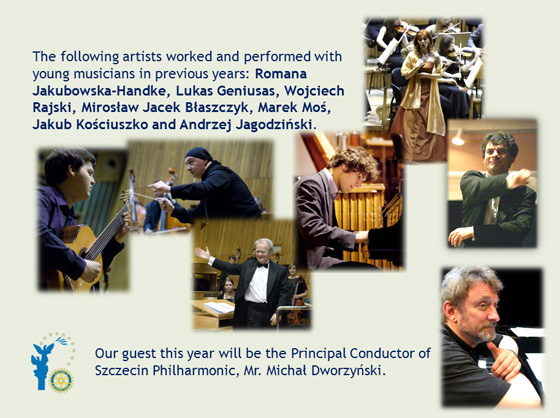 – on 25.11.2012 – Filharmonia im. Mieczysława Karłowicza w Szczecinie. 3. Special Care Center for Handicapped Children in Police focuses on rehabilitation and education of handicapped children.